Do what you love and the money will follow. Is that true? There are so many versions of this statement. Do what you love and the money will follow. Do what you love and you’ll never work a day in your life. If you’re not excited to go into work, then you’re in the wrong line of work. What do you think? 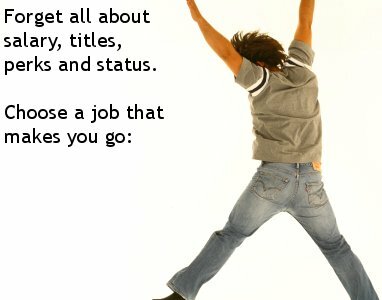 Do you have a job you love? My current job doesn’t thrill me in any deep soul-satisfying way. I’m thinking about going back to school and going into nursing. I have always had an interest in the health care field. I think the reward of caring for people is invaluable. I love the thought of going back to school, acquiring new skills, learning new fields, and exploring beyond my comfort zone. However, it’s a huge leap. There are accelerated bachelor’s programs for people who already have college degrees in other fields. I’d have to satisfy a bevy of prerequisite classes but I could do that over the next year while still working at my current job. Then I could quit my job and go to school full-time in an intensive program where I would earn another degree in 12 months. It would be hard to live on my husband’s income for a year, but you can do anything for one year, right? It’s a finite amount of time with a rainbow at the end. It’s also difficult to think about swallowing another $30K in student loans. I abhor debt. My husband and I are deeply committed to paying off all our debt and we’re making great progress. Maybe $30K isn’t that much money though in the big scheme of life? I would be improving the quality of my life. I am optimistic in thinking that this degree would make me happier and that it would get me the kind of job that would be better suited to flexibility and a positive work/life balance. But it’s such a big, tough question. How do you take that leap of faith? I actually toyed with the possibility of going into nursing about two years ago. I was excited about it back then. However, I gave up the idea when I realized how many prereq classes I’d need to take before even getting into a program. The problem is that my B.A. has me ill-suited for a B.S. The thought of all those classes and the money for them shut me down. I gave up. I didn’t think it was worth it. But I look back now and realize that if I would have started on the path then, I might be done now. Who cares if it takes two years or three? What else am I doing that is a better option? I don’t think I’d be happy at my current job for another five years. The thought gives me anxiety and frightens me. I don’t want to become bitter and let the negative feelings of my job slide over into other areas of my life. Life is simply too short to settle. Life would be easy if it were more like the cartoons. It would be so easy to have a light bulb go off over my head and intuitively know that this leap is the right one to take. I’d love a message puffed out in big letters behind an airplane in the sky, saying DO IT! But life isn’t a cartoon and money isn’t from a Monopoly game. This is one of the biggest decisions I could make in my life and my husband’s life. He wants me to be happy. He said we could figure out a way to do it. Even if I never took the leap, it’s amazing to have that strong of a support system. I do have that going for me! Next week I’ll attend an informational session hosted by one of the universities that offers the accelerated second degree program. I hope to get a lot more information so that when I look at the compass for my life, I know how to point it in the right direction. 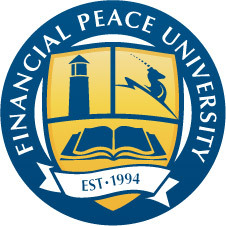 My husband and I attended one of Dave Ramsey’s Financial Peace University programs more than two years ago. Looking back on all the religious undertones and blatant Christianity, I’m surprised I was as adamant about finishing it as I was. But we were about to get married, we had vastly different ideas of money management and I figured it couldn’t hurt to get some advice. My dad’s also a financial planner, so I know it’s important to get all the advice you can, sort through it, and aim for the best path. I’m excited because this month we will pay off my car loan. We’ve also paid off my husband’s auto loan. In the next six months we should pay off the credit card debt that he brought to the table. Then our last goal will be to pay off my student loans. Let me dispel that myth that only the rich can accomplish this. Our combined income is under $80,000. That’s not much for two college graduates. However, this post is about realizing what we have done and not focusing on how others are better off than us. We’re sticking to our plan of paying nearly $1,500 a month on debt. I’ve suspended my retirement contributions. We don’t do many major home improvement projects. Neither of us have smart phones. We don’t pay for cable TV. We’d like a second dog but it’s not in our plan. We rarely pay for lunch out. And a fancy dinner for us might be a $60 splurge. We also bought a home under 1,000 square feet so we weren’t taking on a mortgage that was too much for us. I often wish we had another bathroom or a kitchen that was more than a hallway but I like our low monthly payment. Although, honestly, there have been times when I’ve cursed the dwarf-size amount of counter space we have. My sister paid off a hefty-size student loan recently. She posted the big news to her Facebook page and got more feedback on that than any other post. People said she must be rich or have had a small loan. Others whined that they would never be free of debt. It’s amazing how few people think the debt-free life was actually viable. But it is! You just have to shift your priorities. When you want to buy something, you have to ask yourself if that purchase will get you closer or further from your goals. I’ll admit our priorities are always shifting. One month we’ll vow to fix the broken pump in the laundry room and then we get a medical bill and have to divert the funds to paying that instead. It’s a growing issue that changes shape and size based on that month’s income and that month’s perception of wealth and poverty. It is frustrating to see what other people buy. It’s challenging to not get caught up in wanting new stuff or big home remodels. It’s hard to think other people might have things that we never will, whether it’s three kids or a lake house. I have to step back and think each dollar is a conscious choice toward the life we want. Sometimes the greatest pleasures in life are just the sound of hot water filling a bathtub. Some people on this planet will never even know that joy. And so our goal is to be debt-free. I don’t mean just credit card-free, but free of auto loans and eventually free of a mortgage. Today marks the last month with a car payment and I’m pretty damn excited about that!